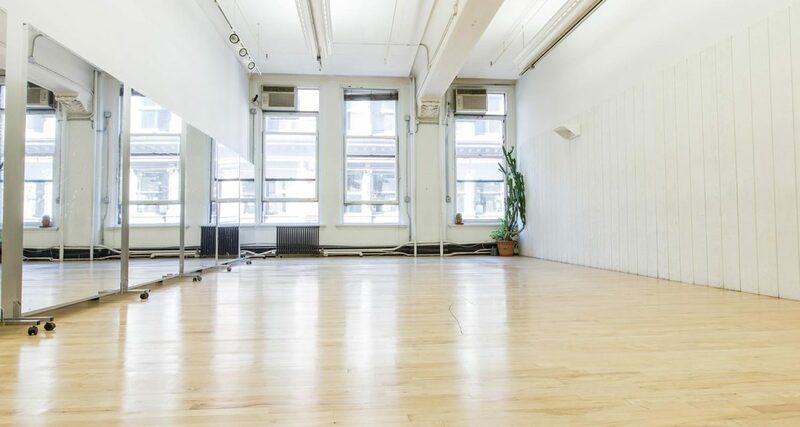 A private and flexible studio with moveable mirrors and three large windows overlooking 19th Street. 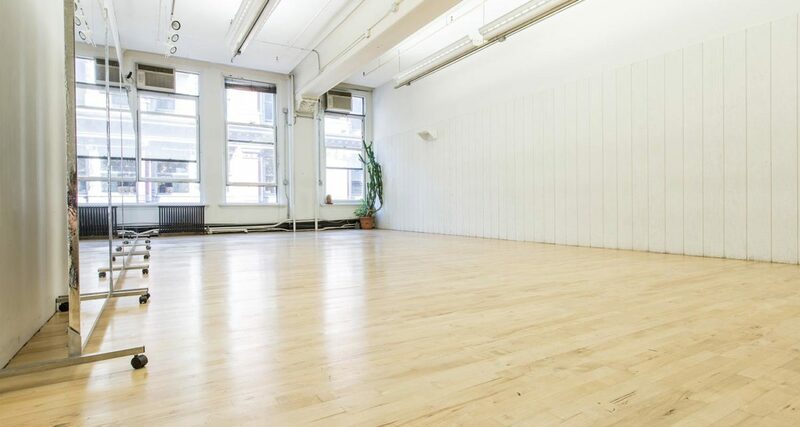 This intimate space is provides a quiet environment for small, focused rehearsals or meetings, and has been home to innumerable rehearsals for companies of all genres and sizes over the years. Use of indoor sneakers is allowed. Studio 6 and Studio 3 were the first spaces Gibney took over at 890 Broadway beyond our original home, Studio 5-2. The space is intimate, affordable, and accessible to artists at all stages of their careers. It houses a steady stream of rehearsals by experimental artists and early-career choreographers. Studio 6’s close proximity to Studio 4 means these experimental artists are working just across the hall from large-scale Broadway productions, and we love to bring those two communities together under one roof.